Cassuto was raised in a religious Jewish home, receiving a traditional Jewish education while also attending public elementary and secondary schools. He entered the local rabbinical seminary2 in 1899, receiving ordination in 1908. Concurrent with his rabbinical studies, Cassuto attended the University of Florence, receiving a doctorate in literature in 1906, and completing his post-doctoral studies in Semitic languages in 1908. At the age of 29, he was appointed instructor of Bible and Jewish history at the rabbinical seminary in Florence, and two years later began lecturing in Hebrew language at the University of Florence. 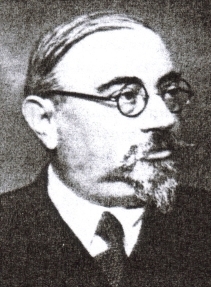 In 1922, he was appointed director of the rabbinical seminary and assumed the position of chief rabbi of Florence, resigning from the latter post in 1925 upon becoming a full professor at the University of Florence. He left Florence in 1933 to take up a position at the University of Rome,7 where he taught until his dismissal under Italy's Racial Laws in 1938. In 1939, Cassuto moved to Jerusalem and was appointed a professor of Bible at Hebrew University. He taught there until his death. His parents were Amminadav Shabtai (Gustavo)8 and Esther (Ernesta). Married Bice (שמחה) and they had four children: Malka,9 Natan, Leah, and Chuldah. Natan and Chuldah's husband perished in the Holocaust, while the rest of the family escaped to Israel. Cassuto was actively involved in the rearing of his orphaned grandchildren, especially after Natan's widow was murdered in the 1948 Mount Scopus convoy massacre. 1 This page is partially based on M. Artom, "הרב פרופ' משה דוד קאסוטו ז"ל", in Eretz Yisrael 3 (1954): 1-2 (hereafter: Artom, Cassuto). Menahem Artom was Cassuto's nephew. 2 Collegio Rabbinico Italiano of Florence. 3 R. Samuel Hirsch Margulies. 4 Cassuto also served on and off as the secretary of the Florence Jewish community. 5 See C. Bettin, Italian Jews from Emancipation to the Racial Laws (2010): 35. 6 In 1911, he was elected by a youth congress to conduct, with two colleagues, a study assessing the Italian Jewish schools, and in 1920 he published an article (in Giovane Israele) arguing for the establishment of non-denominational Jewish schools that would admit even Gentiles. He further advocated the publication of new Hebrew grammar textbooks and a Hebrew-Italian dictionary. See Bettin, Italian Jews: 36-38. 7 Professor of Hebrew and Comparative Semitics. 8 A print shop owner. 9 A scholar of ancient literature and a senior librarian, she edited and proofread most of her father's writings. 10 Head of the Collegio Rabbinico Italiano of Florence and Chief Rabbi of Florence. 11 Lecturer on Biblical exegesis and Jewish history at the Collegio Rabbinico Italiano in Florence (and later in Berlin), and known for his scholarship on Jewish liturgy. 12 A professor at the Collegio Rabbinico who had a profound influence on the young Cassuto in the three areas of scholarship he would later focus on: Bible studies, Jewish literature, and Jewish history. According to Artom (Cassuto: 1), from among Cassuto's teachers at the seminary, R. Chajes had the greatest impact on him. 13 See above, Occupation and Family. 14 His Zionism was linked to his Bible studies: he believed that the Jewish people needed to forge a method of Bible study that would be true to the spirit of the national revival in Israel. See A. Rofe, "קאסוטו חוקר המקרא: תכניתו משנת ת"ש במבט משנת תשס"ב", Beit Mikra 47:4 (2002): 290-291. 15 Cassuto was an extremely prolific scholar, and it is impossible to list here all of his works. Below is a selection of book-length works available in Hebrew or English, with occasional reference to significant Italian works yet to be translated. For a relatively complete bibliography of Cassuto's publications up to the year 1954, see M. Cassuto-Salzmann, "כתבי משה דוד קאסוטו ז"ל: רשימה ביבליוגראפית" in Eretz Yisrael 3 (1954): 3-14, 266. 16 During his time in Jerusalem, Cassuto began work on publication of a Hebrew Bible based on his research of ancient texts and variants. For this project, he famously visited Aleppo after receiving special permission to view the Aleppo Codex, much of which would be lost a few years later. He completed preliminary work on this edition, but died before completing the project. Much of what is known about the missing portions of the Codex comes from Cassuto's notes. See Y. Ofer, "כתר ארם צובה – לאור רשימותיו של מ"ד קאסוטו", Sefunot N.S. 4 (1989): 277-344. 17 Originally published in 2 volumes, Jerusalem, 1944-49. Later published in English translation: A Commentary on the Book of Genesis, 2 vols., Jerusalem, 1961-64. The commentary is divided into two main parts: Part I: From Adam to Noah, Part II: From Noah to Abraham; the book incorporates a work that was never completed: "אברהם והארץ יעודה", and only covers through chapter 13. Cassuto's writings on Bereshit comprise a major critique of the Wellhausen Documentary Hypothesis, which had already been accepted as conventional wisdom. The commentary further represents a new approach that, while critical and scientific, views the Pentateuch as an organic whole produced by one author (although the text, according to Cassuto, was influenced by and partially based on several earlier epic poems). Cassuto's method was therefore to interpret the meaning of the received text as a fine work of literature, and not to view it as a disjointed amalgam of earlier documents. For a significant critique of Cassuto's approach, see the review article by Y. Kaufmann, ‏"המאמר: 'מאדם עד נח'"‏ in מכבשונה של היצירה המקראית (Tel Aviv, 1966). Kaufmann notes that while Cassuto's view of the Bible would be considered conservative by conventional Bible critics, it would be considered radical from the perspective of traditional approaches to the Bible. For a broader discussion of Cassuto's approach to Bible study, see M. Yitzhaki, "הגישה הרצויה והמצויה לחקר המקרא – בעיניו של מ"ד קאסוטו ז"ל", Beit Mikra 15:3 (1970): 327-338. 18 Jerusalem, 1952. Later published in English translation as: A Commentary on the book of Exodus, Jerusalem, 1967. For a review, see A. Cohen, "פירוש על ספר שמות", Tarbiz 23:2 (1952): 132-136. 19 Jerusalem, 1941. Later published in English translation as: The Documentary Hypothesis and the Composition of the Pentateuch: Eight Lectures by U. Cassuto, Jerusalem 1961 (and republished by Shalem Press in 2006 with an instructive introduction by J. Berman). 20 The Italian original was published in Florence, 1934, while the Hebrew translation was published in Jerusalem, 1990. 21 Published in Jerusalem, 1972-1979. Also published in English translation as: Biblical and Oriental Studies (2 vols. ), 1976. A notable feature of some of these articles is Cassuto's use of traditions preserved in post-biblical Jewish literature (including Talmudic and Midrashic literature) to understand the literal meaning of the Biblical text. See the discussion in Rofe, קאסוטו חוקר מקרא:‎ 297-304. 22 Jerusalem, 1951. Later published in English translation as: The Goddess Anath: Canaanite Epics on the Patriarchal Age. 23 Cassuto wrote nearly all the entries relating to post-biblical Judaism for the general Italian encyclopedia, Enciclopedia Italiana. He wrote also for the German Encyclopedia Judaica, and אנציקלופדיה העברית. 24 Florence, 1918. Later published in Hebrew translation as: היהודים בפירינצי בתקופת הרניסאנס, Jerusalem (1967). 26 This was one of the most popular 20th century editions of the Bible in Israel, used widely in the Israeli school system and by the general public. The edition included a popular commentary based on modern scholarship, and became known as Cassuto's Tanakh due to a marketing ploy claiming it followed the "Cassuto method", despite the lack of any involvement on the part of Cassuto.